Do I need to buy a dedicated Label Printer? As a barcode company we specialise in the supply of self adhesive, barcode and serial numbered barcode labels for a variety of applications, from property asset to warehouse and retail labels as illustrated below. Using the latest hi-tech equipment, we are able to supply high quality products, tailored to our exact customers’ requirements, at affordable prices. We pride ourselves on complete customer satisfaction and our business model allows us to deliver the flexibility and cost-effectiveness our customers demand. Our barcode labels are suitable for your copier, inkjet printers and laser printers. We guarantee a fast turnaround on both stock and custom bespoke labels. We despatch stock labels same day for next day delivery. If you require custom size labels, please contact us by email: enquires@barcodecompany.com or by telephone: 0191 4272180 to discuss your requirements further. We are specialists in supplying all types of Barcode products such as Barcode Readers, Barcode Printers, Barcode Scanners and Mobile Portable Data Collection Terminals. Any Barcode Printer, Barcode Scanner or Barcode Reader not listed on our website, contact us and we endeavour to find the product you require at a cost effective price. 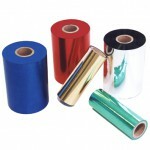 We specialise in Barcode Label Printer Consumables including Labels, Pre-Printed Labels, Thermal Printer Cleaning Products, Thermal Printheads, Thermal Transfer Ribbons, and Thermal Paper Rolls. 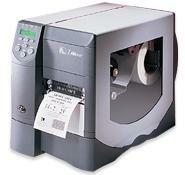 We hold a large expanding stock of Barcode Label Printer Consumables for all the major leading manufacturers.